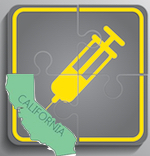 Senate Bill 227, mandating childhood vaccinations, will take effect in California in 2016, joining 36 other states that no longer allow an exemption for personal or religious beliefs. Non-compliant families will not be able to use licensed daycare facilities, in-home daycare, private or public preschools, and after-school care programs. Children who are not up-to-date will be required to home school. Also, the legislature may add any additional vaccines that they deem necessary. Parents are left with few viable alternatives. Ironically, unvaccinated students with IEPs will still be able to access those programs. Those with a preexisting personal exemption may continue until the next school year. Parents requesting a medical exception must provide a physician’s statement that details which ‘shots’ are not OK, and the reason(s) for non-compliance. According to the Innocence Project, 330 post-conviction DNA exonerations have occurred since 1989. Twenty people were on death row and the average length of time served per exoneree was 14 years. Whoops. The CDC keeps dropping the ball with the flu vaccines. After admitting that the 2015 ‘shot’ is ineffective, as in previous years, the universal message given to the public from the government and mainstream media was to “get the flu shot anyway.” There is evidence that some flu vaccines could make things worse. As demonstrated in the case of antibiotic overuse, the FDA can’t regulate even when scientific research is convincing. Important practical issues, such as incorrect vaccine labelling and storage have never been adequately addressed. Future studies may identify specific individuals, such as those with genetic Copy Number Variations, G-I, and immune system difficulties, who are susceptible to vaccine injury. Differences have recently been identified regarding the effects of medications on men vs. women, infants vs. adults, and there are now even individualized chemo treatments. In medicine, one size does not fit all. The herd has been protected so far. Even though the number of cases increased sharply in 2014, there were still less than 700 reported measles and 1150 mumps cases. Many patients had previously been vaccinated, or were too young to get a shot. Worldwide, there were ~ 400 cases of polio reported in 2013. Working together (mutually beneficial relationships), drug companies and governments have done a fairly effective job. With CDC surveillance and public health reporting, outbreaks can be detected using appropriate testing with inoculations to avert tragedy. Based on an incidence of 1/68 children, the number of patients with autism equalled nearly 60,000 in the US. There doesn’t seem to a great deal of wiggle room for parents who remain convinced that an inoculation altered the course for their typically developing child. Does a previous child with autism after a shot count? How about those who are already not developing normally? Many children have fevers and diarrhea following a vaccination, so that is significant. Should febrile seizures be a concern? Does a child with Tuberous Sclerosis who does not show signs of autism (yet) count? An already elevated titer against a disease seems to be a contraindication to revaccination. There are patients with high or low white blood cell counts, so this might become a possible possible temporary exemption. Finding a physician willing to assist in the process is one part of the journey. Crossing t’s and dotting i’s to adhere to regulations will take time for already-resource strapped families. The change in the law is a knee-jerk reaction based on inadequate scientific information, conflicts of interest from those who are supposed to be protecting us, and presents an unnecessary barrier for thoughtful, intelligent, concerned parents. For many parents, homeschool dot-coms may be the most preferable alternative. This entry was posted on Sunday, July 5th, 2015 at 11:01 am	and is filed under >ALL<, AD/HD, Alternative and Complementary Medicine for ASD, Asperger's Syndrome, Chelation, Conferences, Diets, Earliest Red Flags, Gastrointestinal Issue, Genetics. You can follow any responses to this entry through the RSS 2.0 feed. You can leave a response, or trackback from your own site.